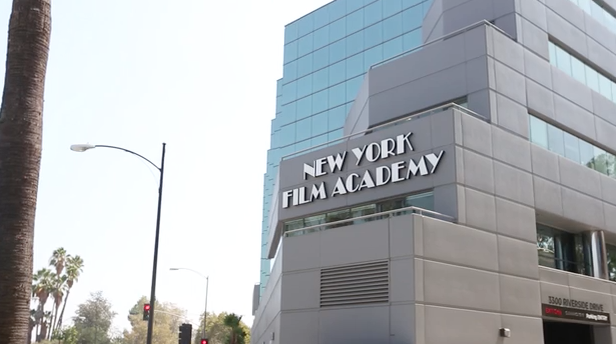 New York Film Academy MA degree programs are offered at our Los Angeles campus. Producing is a craft that brings together the many disparate facets of filmmaking, covering both creative and business-focused skillsets. Simply put, no other position in film or television has more to do with the technical, creative, and financial aspects of making a film or TV show than the producer does, and it is he or she who sees a project from the very beginning to the very end. Over the course of two semesters, students learn what it means to think and act like a producer. From day one, students are treated as producers and are challenged to develop the creative and technical skills producers must have to successfully navigate the entertainment industry. Through a combination of lectures, seminars, and coursework, students will become familiar with the different roles, tasks, and obstacles that producers encounter and learn how to manage them. In addition, students are expected to hone their abilities as writers, learning the fundamentals of the craft in order to write their own original feature treatments, and business plans. Students also receive extensive practice in the art of pitching, learning how to best craft a compelling sales pitch for their project. Furthermore, students obtain a working knowledge of finance, marketing, and distribution strategies while analyzing media trends in the industry. Ultimately, students will complete their studies with the creation of their Thesis, which will explore a key element of their feature film treatment. Producing students graduate from the Academy’s MA Producing program well-versed and experienced in the role of the producer. From learning the foundations of Entertainment Law to mastering industry standard software used by producers, students interested in the MA Program in Producing at NYFA will leave the Academy ready to enter the entertainment industry and achieve their professional goals. Today’s producers face a number of dramatic, logistical, and managerial challenges in an ever-changing industry. In semester one, students develop fundamental creative and technical skills producers must have to successfully navigate the entertainment industry. Through lectures and seminars, students are immersed in the world of the producer. Students will also gain an understanding of the history of cinema and the evolution of emerging media. They will develop effective pitching techniques for their original concepts while evaluating the role of media in today’s society and examine their role and responsibility in that world. In semester two, students will broaden their understanding of the role of the creative producer and analyze and master key elements of the effective producer’s craft. From working with unions and guilds to understanding the financial and legal challenges faced by producers, students will learn strategies for working in today’s industry, including techniques in marketing themselves in the most effective way. Students will gain a theoretical and stylistic understanding of genre and film aesthetics. They will also look beyond film to examine new media trends in the entertainment industry. The semester culminates with students creating a complete business plan and packaging their treatments into marketable projects. Finally, they will compose a well-researched Thesis and extrapolate upon a certain aspect of their feature film treatment. This core introductory course outlines the essential roles, tasks, and obstacles faced by producers in the entertainment industry. 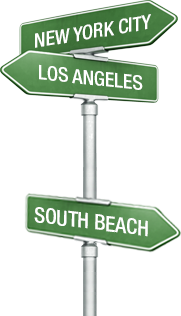 Topics include navigating the studios, television networks and emerging media as well as the relationship between producers and the unions, guilds and talent agencies. From the producer’s perspective, students will discuss and analyze their current projects in development or production. Relevant events in the entertainment industry will be presented and analyzed. Students will be introduced to and trained on the industry-standard software used by producers, Movie Magic Scheduling and Movie Magic Budgeting. This course is an overview of contract law and how it impacts the entertainment industry. Producing students will study legal issues regarding television, films, recordings, live performances, and other aspects of the entertainment industry. Topics include copyright law, intellectual property, and talent representation. Students will be introduced to finance, marketing, and distribution models for both studio and independent films. Through in-class examples, students are introduced to effective pitching styles and instructed on how pitching skills are an effective tool for the creative producer. Each student will practice and gain critical and fundamental pitching skills. Through lectures and analysis of case studies, students will learn the critical skills to develop effective feature film business plans and television show bibles. Through in-class instruction and critique, students will develop storytelling skills within the industry-standard format of the film treatment. In a workshop setting, each student will develop and write a detailed feature film treatment. Cinema Studies introduces students to the evolution of the motion picture art form as a visual storytelling medium and the motion picture industry from their inception. Students will be given a thorough creative, technological, and industrial view of the filmmaking arts. Students will be prepared or more advanced academic and production-related studies and practice of filmmaking. The approach is historically developmental. Students will understand why a film creatively works or doesn’t work. The course considers primarily American film development though the impact of international filmmakers is given due analysis. In the twenty first century media is constantly in transition. New narrative formats are emerging almost daily and content producers must not be left behind in this dynamic environment. This course examines these new forms in depth and the unique requirements that they place upon narrative storytellers. Creating content for webisodes, mobile and alternative viewing platforms, branded entertainment, commercials, and music videos is discussed in depth. This course continues the study of the essential roles of and obstacles faced by film and television producers. Topics include optioning and developing material, film festivals, networks and ratings and analyzing U.S. and international tax incentive and rebate programs. Students develop professional-caliber resumes, cover letters and lists of references. Students conceptualize and develop their Thesis Projects. Topics include executive summary, logline, synopsis, story and character development, researching and analyzing comparable films and developing effective comparisons. Through lectures and examples, students will learn the critical skills to develop effective feature film business plans. Students will write a paper of at least 20 pages researching their feature film treatment. Topics will include the subject matter of their film, the period, the socio-economic influences of their story, as well as influences on theme, character, plot and style. This research paper will be written using MLA standards. An examination of the major philosophical issues raised in connection with visual arts, and contemporary media. What we think about art has a direct impact on how we experience and make art. Visual aesthetics involves the study of art theory and the concept of "beauty" as it specifically relates to the visual arts. Topics include the concept of beauty, critical evaluation, artistic truth, and meaning in the arts. Traditional, as well as post-modern viewpoints will be explored through such questions as: What is the nature of art? What is the value of art? What is the function of art? How do we evaluate art? What is beauty?